Hi I would just like to say "Thank You" for the first time in 37 years I have been smoke free thanks to your store and your Ego CE4-T unit's, I have not had 1 cigarette for 2 day's now and I owe it all to your Store and products and the informative information you you have about E-cig's etc. Just in one day I went from a full time smoker to an E-Vapor and my Carbon Dioxide reading went from 59 down to 10, that's a reading of only 2.2% when I went to see my Stop Smoking nurse and she was amazed as I was to get such a quick response from just vaporizing for one day. I will be telling everyone I know about your store and how to buy from you and quit smoking. Thank You. Eugene Hall.This is just an example of real customers and how e-cigs have helped them kick the bad habit of smoking. 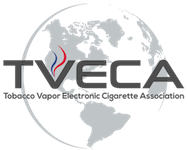 TVECA is a nonprofit organization dedicated to create a sensible and responsible electronic cigarette market by providing the media, legislative bodies and consumers with education, communication and research.